Let me first state, I am not rooting against keeping the Phoenix Coyotes in Glendale. 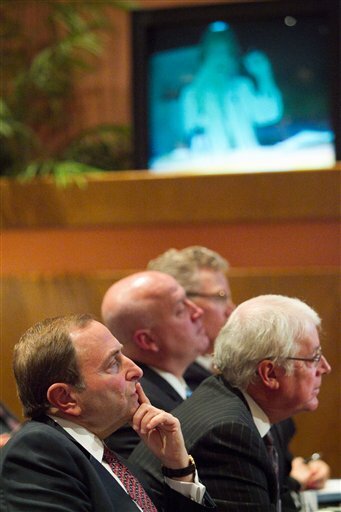 I believe in this sport very much and I am convinced that with the right ownership team, hockey can do well anywhere. Based on the success of the San Jose Sharks, I am certain Greg Jamison can turn the franchise around. Outside of Arizona, I am sure I am in the minority here. There is a lot to the Glendale/Coyotes story but for simplicity sake, Greg Jamison has about 5 days to close the purchase of the Phoenix Coyotes to take advantage of the lucrative lease agreement with the city of Glendale. The tricky part for the Jamison group is that the lease agreement was passed by a more Owner friendly city council last year and several of the new city council members have been fairly vocal in the unwillingness to agree to such subsidies. My theory all along has been if the Coyotes don’t stay in Glendale, they would end up in Quebec City. This is largely due to the fact that Seattle would need an NBA team first & Quebec City has a decent temporary facility to play in while they build the new arena. Although not a done deal, it looks like Hansen and Ballmer will be closing the deal on the Kings. Then the globe and mail podcast mentioned that the league wants to relocate a team to Seattle and get 2 expansion teams to Canada. This makes a lot of sense. The theory being that the Canada can support a losing expansion team better than Seattle. So give Seattle a team that has a fighting chance to get into the playoffs in the first couple years. The first piece of the puzzle will be what happens in Glendale this week. After that I don’t expect we will hear much on relo until the Kings/Sonics situation gets settled even then you might remember the Thrashers move to Winnipeg practically happen in the middle of the night with no advanced warning. http://www.theglobeandmail.com/sports/hockey/nhl-fans-are-all-the-way-backmp3/article7795075/ – Podcast where they talk Seattle Relo around the 20 minute mark. Attendance Volatility of the 2011-12 NHL seasonHang in there Phoenix Coyotes fans!! !